What Your City Website Needs | Infomedia, Inc.
A homepage acts as an advertisement of all your city has to offer. Give website visitors a sense of your area through content like copy, images and video. Maybe it’s a small town that’s family-focused or a bustling city bursting with new jobs — either way, you need to attract residents through your site. Avoid the temptation to list every single little detail on the homepage, though. Instead, it should just be the highlights of what your city is like so those who are interested can dig deeper into the site to learn more. We like how Infomedia client City of Trussville provides a video guide to their area. Services are one of the main reasons that current residents would be visiting your city’s website. Things like emergency services, utilities, holiday schedules for the city and more are all important to highlight. You can display these services front and center on your homepage or add them as a main part of the your navigation bar to make them really stand out. 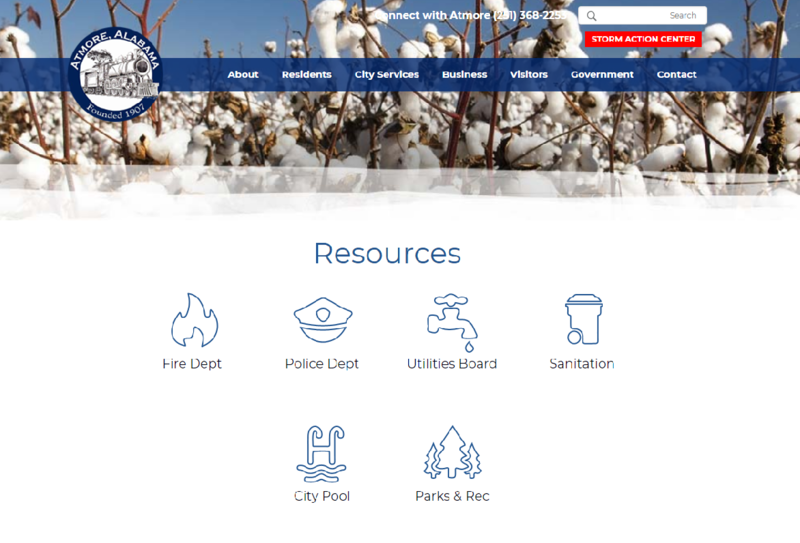 City of Atmore, an Infomedia client, highlights their resources front-and-center on their “City Services” page so visitors can easily find what they need. Cities are constantly changing. It may be traffic reroutes due to road construction, changes to zoning laws or announcing seasonal events, but there’s always news happening. This is why it’s a good idea to have a “News” page that remains up-to-date with the latest happenings. Making announcements and sharing important dates will help keep residents in-the-know and help them feel more aware of what’s happening in their area. 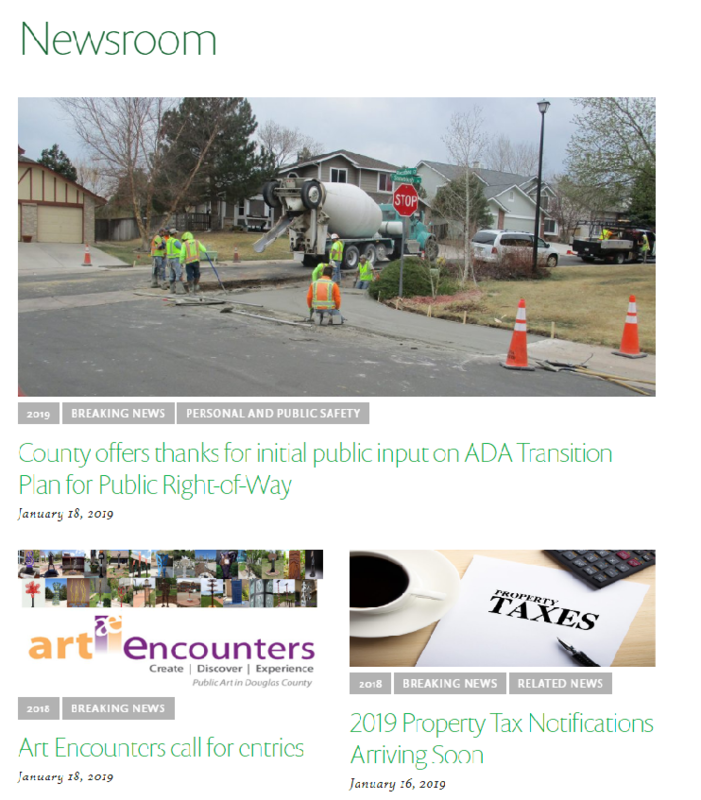 We think Douglas County, an Infomedia client, does a great job of showing off local news on their “Newsroom” page. If you’re looking into building or updating your city’s website, then Infomedia would love to help. Contact us to schedule a no commitment and fuss-free consultation with our team. We’re ready to set you in the right direction with website creation, or offer up some assistance of our own.